Near Slumgullion Pass, Colorado ©2017 James D Peterson. We went through this area in mid-September, when the fall foliage was just beginning to appear. 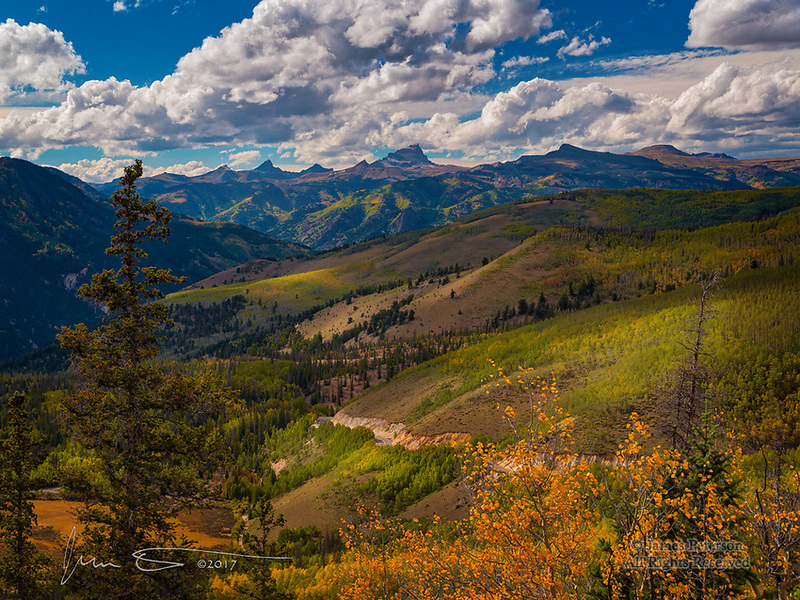 This view is above Lake City as Highway 149 ascends towards its highest point, 11,530 feet (3,514 m) above sea level. The views of the San Juan Mountains are spectacular along thsi route.